Stephenie is a frequent lecturer on why investing in women and girls is critically important. She has been a Professorial Lecturer at American University’s Women & Politics Institute. She publishes regularly on the importance of investing in women and girls to our foreign policy, women in leadership, women and economic engagement, and women and security. She writes regularly for the Huffington Post and other media outlets. A Day to Galvanize Action on Conflict-Related Sexual Violence, US Department of State Dip Note blog, June 30, 2015 (with Blake Peterson). Picture Brides, Multicultural America, ed. Carlos E. Cortés (New York: Sage Publications, 2013). Women’s Business Advocacy Issues, available on iTunes, July 2012 (with Lauren Supina). Ending Violence Against Women and Human Trafficking: A Guide to New Strategies, The Global Partnership to End Violence Against Women, March 2010 (with Cindy Dyer). 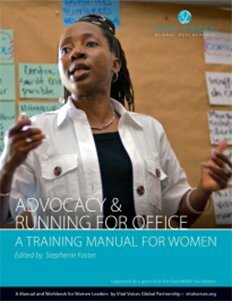 Advocacy and Running for Office: A Training Manual for Women, Vital Voices Global Partnership, March 2010. Divorce in Afghanistan, Cultural Sociology of Divorce, eds. Robert E. Emery and J. Geoffrey Golson (New York: Sage Publications, 2013). Divorce in Armenia, Cultural Sociology of Divorce, eds. Robert E. Emery and J. Geoffrey Golson (New York: Sage Publications, 2013). 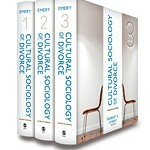 Divorce in Cameroon, Cultural Sociology of Divorce, eds. Robert E. Emery and J. Geoffrey Golson (New York: Sage Publications, 2013). Divorce in Swaziland, Cultural Sociology of Divorce, eds. Robert E. Emery and J. Geoffrey Golson (New York: Sage Publications, 2013). Women Heads of State, Entry in The Multimedia Encyclopedia of Women in Today’s World, eds., Mary Zeiss Stange and Carol K. Oyster (New York: Sage Publications, 2013). 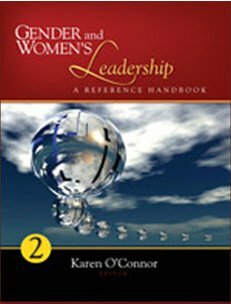 “Spotlight: Melanne Verveer,” Gender and Women’s Leadership, edited by Karen O’Connor, SAGE Publications, 2010. Global Impact of Women Elected Officials on Public Policy, CONNECT Inaugural Issue, Horizon Publishing, United Kingdom (Autumn 2011).